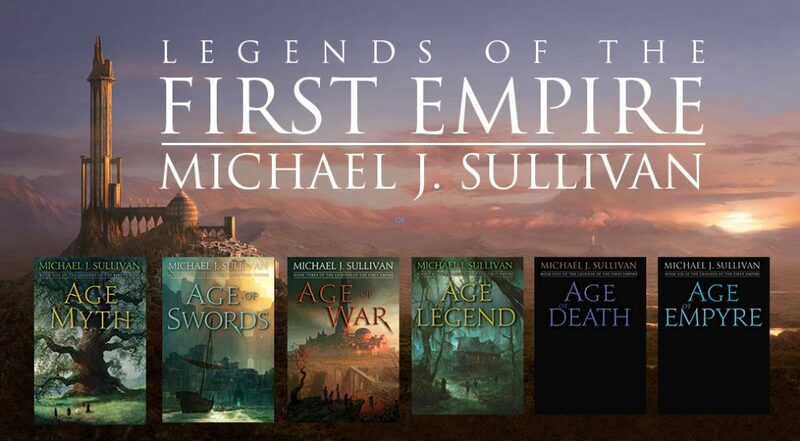 Now that I’m done with edits for the fourth book, I have some time to post about the name changes for The Legends of the First Empire books. Let’s start with the names of the books themselves. Here are the original names along with the names the books will be released as. Let me start by saying, most authors have “working titles” and that is what the original names were. The name they ultimately come out with come with a great deal of thought from the publisher, author, and booksellers. I wanted the words to be “made up” because one word titles of “real words” is almost impossible to get traction on. Type “Wizard” into Amazon’s search for books and you get 51,615. That’s not a made up number. I just did it and by the time you try it may be more. I wanted consistency between the titles – notice all of them are 5-letters and have “H” as the second one. These working titles had a number of problems. First, the don’t mean anything. Do you know what Rhist is? How about Dherg? Do you know how to pronounce Phyre? Is it “Fire,”,”Pyre,” or “Fear”? After reading the books the names make some sense (Rhune< Dherg and Fhrey are races in the series and Rhist is a person and a place and Phyre is one of the realms of the afterlife). But on first glance no one will know what they are – they are just five letters strung together without any context. Second, many people won’t know how to spell the books. They’ll type Rist rather than Rhist (or maybe even Wrist) when they hear from a friend about that new “Rist” book from Michael J. Sullivan. Having unconventional spellings makes it difficult for people to find them. Some of the titles are already used: Rhune – came out May 31, 2013 by Lynn Leite. There are nine books with Phyre in its title. Melissa Wright has a very popular Frey Saga of books and the first one is called Frey. These are pretty serious problems. But I’d be willing to live with them if I couldn’t come up with a better alternative. Luckily I could. Here’s my process for renaming the books. When I was doing names for Riyria I really liked that the consistency of three words with “of” in the middle. So returning to that paradigm seemed like something to pursue. I also liked that the Riyria books had great contextual meaning. Theft of Swords was about — well the theft of two different swords. Rise of Empire was about — you got it an Empire that is taking from and Heir of Novron…well it concludes the great mystery about who really is Novron’s Heir. The names of the Riyria books clearly place them in the “fantasy” realm. We use words like “Swords” and “Heir” and “Empire” these make it easy for people to immediately classify the books. Always a positive thing. For the new books, I thought about what was at the core of each one and could I provide context while still keeping consistency…all while avoiding “made up words” which are difficult for all kinds of reasons. So here’s the context behind each of the new titles. Age of Myth – at its core is about the effects on a culture when they realize the difference between myths and reality. Not only are their core beliefs shattered but it means they’ll have to rely on themselves to insure the continued existence as a race. Age of Swords – The Rhune in the First Empire books are a primitive people. They use spears and wooden shields, rarely see domesticated horses, and are just barely above hunting and gathering. To survive, they are going to have to find new technology and materials that will make it possible for them to fight against a vastly superior race. How they come about “sword technology” is an important event in the history of these people. Age of War – shows the events when the two cultures from the first two books finally meet in battle. It explores how the underdogs can strike out against a vastly superior enemy and what sacrifices are necessary. This paradigm has played out many times throughout history and I was excited to put my own spin on how such a clash would effect my world of Elan. Age of Legends – From day one of this series I was playing with the notion of “Myths and Legends” the difference between people we look at as heroes and the reality of their deeds. I also wanted to explore how ordinary people do extraordinary things. Royce and Hadrian are awesome because they are so capable, but they are nearly superheroes in their capabilities. What happens when people who are just “people” can they rise to the status of Legends without special capabilities? That is the primary focus of this book so it seemed like the perfect title. Well, to be honest, I thought the prefect title was Age of Heroes but I was afraid people would think I was trying to ride on Brandon Sanderson’s coat tails since he has a book called The Hero of Ages. So Age of Legends was a good second choice. Age of Empire – This series of books tells the part of Elan’s past where the First Empire is created by the legendary demigod Novron. Of course the story arc has to end with eventual forming of that empire, so, Age of Empire is the logical choice for it. The only issue…a popular game by that name – one of my favorites. But hey you can’t get everything the way you want it and conflict with a game is better than conflict with a book. Just like the Riyria books we have titles that are (a) contextually accurate (b) have consistency and (c) use words that identify them as fantasy (swords, legends, myths, war, etc). One last thing I should bring up. Names of books are not something that authors usually get to have a say in, but Del Rey has been very accommodating with me on all kinds of fronts including the names. They didn’t veto my original names and put in their own. They raised what their issues were with the original names and asked if their concerns had merit. I felt they did. Then, then asked me if I could come up with some names that would solve their problems and I’d be happy with – and these are what I came up with. I liked them and I’m glad they did as well. So, that’s the story behind how and why the names changed. No publisher conspiracy or arm twisting. I know some of expressed they don’t like the new names, but I think that is largely due to being exposed to the other names first. If we had started out with the “Age of” titles and then switched to the 5-letter titles, I think we would have similar push back. You like what you get used to. I’m not sure where the time keeps going, but going it does. Here is yet another long overdue status update on the series. Age of Myth – is coming out on June 28th. Del Rey and Robin have been working on some pre-release promotions. We will be offering a bunch of free material including character profiles, high-resolution map, author Q&A and screen savers of the amazing cover artwork. If you want to sign up to be notified of how to get these bonus materials be sure to sign-up on this email list. ARC’s have arrived and they are going out to reviewers and being given away at various venues. Speaking of which I’ll be at Phoenix Comic Con in early June and signing a bunch of them there. Age of Legends – book #4 in the series is almost done with its second rewrite. I had hoped to have it finished by the end of March but I also had a week’s worth of travel so all in all I’m right on schedule. Only two chapters left! Out of all five books this one had the most restructuring and I think the changes have really helped it out. Age of Empire – book #5 in the series is scheduled to have its second pass edit done at the end of April or mid May and I think that is still doable. It will require more edits than books #1 – #3 but significantly less than book #4. Audio books – Robin and I went to New York to sit in on the recording of the first two sessions of Age of Myth. Tim Gerard Reynolds did a fabulous job (as always). It was great getting a sneak peek of the audio version. We love the voices he picked for the characters and I’m sure you will as well. Age of Swords – we are expecting to do the beta in June. If you want to sign up here is the link. Unfortunately, not all people who sign up will get in (we generally have several thousand beta requests and we just can’t run one with more than 12 – 20 participants as it’s too hard to manage. Well, that’s what’s going on here. Things are very busy and June will be here before we know it. Hope you all are as excited as Robin and I.